A petite fit and flare dress with straight V-neckline and 3/4 length fitted sleeves. 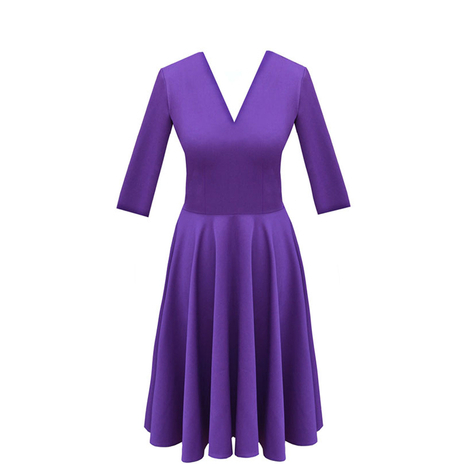 In a heavy draped poly-viscose fabric, this dress is fastened at the back with a concealed zip. If you don't like this dress as it is, remember you are in control of what goes into production, so please suggest the colour, cut or style you would prefer. eg. shorter sleeves, different neckline, different colour.